What we know so far ...: Jack Abramoff is this generation's Alexander Butterfield. Jack Abramoff is this generation's Alexander Butterfield. 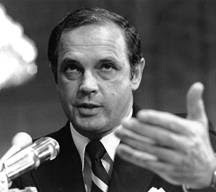 Remember July 16, 1973 when Alexander Butterfield revealed to the Senate Watergate committee that there was a secret taping system in the White House? It was the beginning of the end of a tyrannical Republican imperial presidency. What made me think of that? Skip forward to today. Across the pond, The Financial Times of London is reporting that the congressional investigation into the firing of eight US attorneys has revealed an e-mail exchange in which J. Scott Jennings, the special assistant to the president and deputy director of public affairs, used an RNC e-mail account to communicate with Kyle Sampson, the former chief of staff to Attorney General Alberto Gonzales who is due to testify about the firing on Thursday. It turns out that the Abramoff investigation revealed a pattern of using Republican National Committee email accounts to avoid getting evidence on the White House server. Now that they have been busted, Henry Waxman has notified the RNC not to destroy any evidence or face the possibility of an obstruction of justice investigation.